AVAILABLE BIT SIZE 6", 8", 10", 12"
Offering fatigue-free drilling and easy hole-to-hole transport for one person effortless operation. Offers a straight line drilling motion with minimum machine repositioning. Intuitive, fingertip access with variable speed hydro-drive forward and reverse. Drive controls are consistent to other Billy Goat hydro-drive machines for a consistent feel . 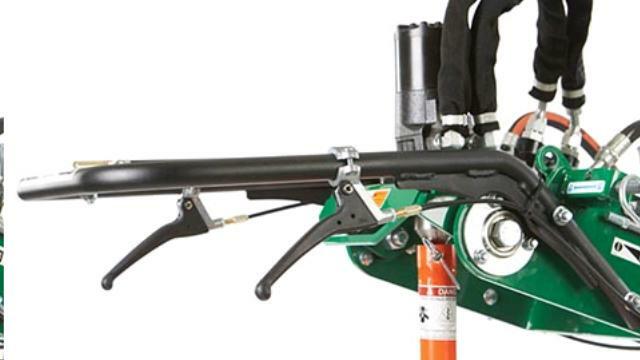 Gas Spring Lift Struts Assists the operator when lifting the bit from the hole, reducing fatigue. 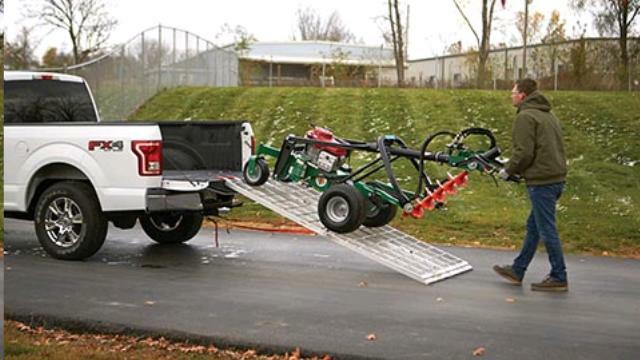 Provides smooth transport to job site and from hole-to-hole along with high flotation rear turf tires. 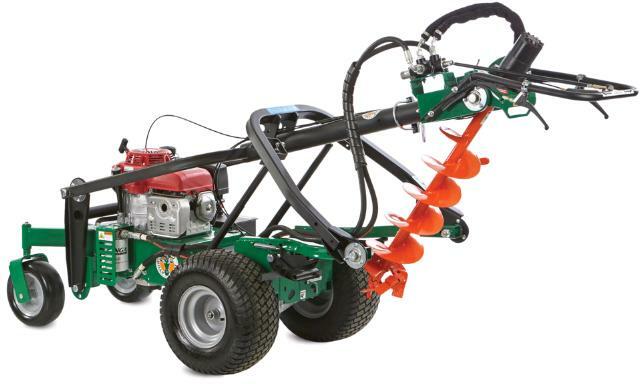 Located on rear wheels, helps to stabilize the machine for straight-line drilling on uneven or sloped terrain. * Please call us for any questions on our post hole digger one man self propelled rentals in Brownsburg IN and the Indianapolis metro area.